Photo of a traditional guest bedroom in Other with blue walls, carpet and beige floors. 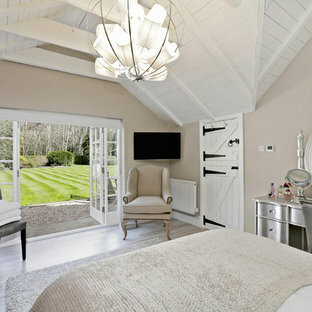 Rural bedroom in Hertfordshire with beige walls, no fireplace and grey floors. 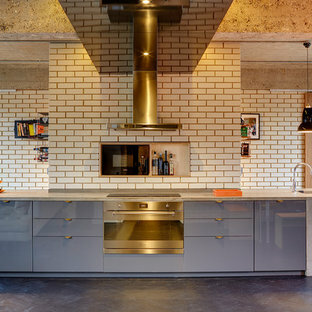 Design ideas for an industrial kitchen in London with a submerged sink, flat-panel cabinets, blue cabinets, beige splashback, brick splashback, stainless steel appliances, dark hardwood flooring, black floors and grey worktops. 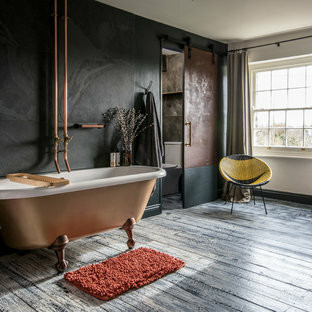 Inspiration for a contemporary ensuite bathroom in Other with a claw-foot bath, black tiles, black walls, painted wood flooring and copper worktops. 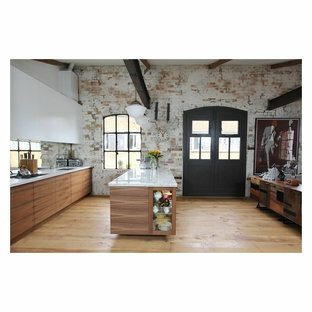 Kitchen design with large Island to seat four in a barn conversion to create a comfortable family home. 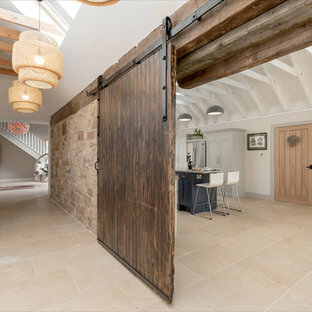 The original stone wall was refurbished, as was the timber sliding barn doors. Design ideas for a classic single-wall kitchen/diner in London with a submerged sink, flat-panel cabinets, medium wood cabinets, stainless steel appliances, an island, beige floors and white worktops. 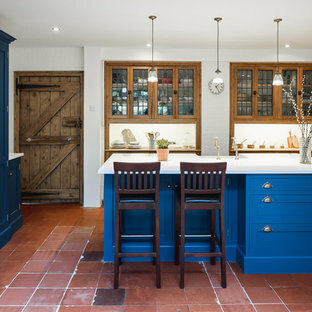 This is an example of a medium sized farmhouse galley kitchen in Hertfordshire with a belfast sink, shaker cabinets, blue cabinets, terracotta flooring, an island, red floors and white worktops. 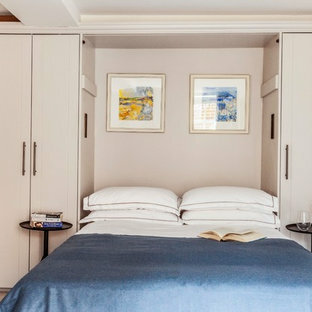 Inspiration for a country guest bedroom in Surrey with beige walls, carpet and beige floors. This is an example of a rural exterior in Dorset with stone cladding. 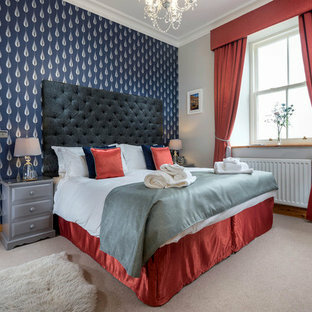 Photo of a medium sized beach style bedroom in Dorset with green walls and grey floors. Inspiration for a small rural single-wall separated utility room in Surrey with wood worktops, white walls, light hardwood flooring, beige floors and beige worktops. Design ideas for a country kitchen in London with a belfast sink, shaker cabinets, blue cabinets and an island. 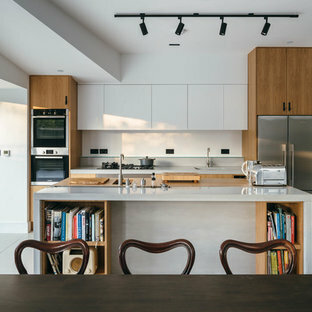 Photo of a classic kitchen in London with a submerged sink, recessed-panel cabinets, blue cabinets, matchstick tiled splashback, stainless steel appliances and no island. Design ideas for a country bathroom in Surrey with a pedestal sink, a freestanding bath, beige walls and dark hardwood flooring.